LG to stop plasma production? LG looking to leave the plasma screen market? 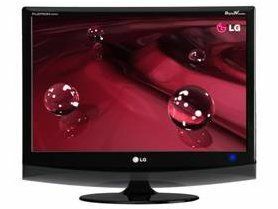 There are rumours abound today that LG is to stop producing plasma screen TVs and focus solely on LCD production. This is all down to cost, according to LG's company vice president Lee Gyu-hong, who in an interview stated that the company was trying to "reduce costs" and did not "see a future" in plasma technology. Things aren't looking good for the television manufacturing industry at the moment, with numerous manufacturers making big choices on how to proceed with production. Panasonic and Hitachi joined forces last year in a bid to cut costs, and the recent demise of Pioneer's Kuro range proves that even the strongest brands are in danger of getting the chop. With Sharp currently showing off its 108-inch LCD TV, it does prove that there is less and less need for the more expensive plasma technology to be in the big-screen TV market. TechRadar has contacted LG about the rumours, so expect a response later today. Via Electric Pig and Electronista.